WITHIN a little over two weeks after the West Somerset Railway (WSR) gala both Nos. 7820 Dinmore Manor and 7822 Foxcote Manor had left. 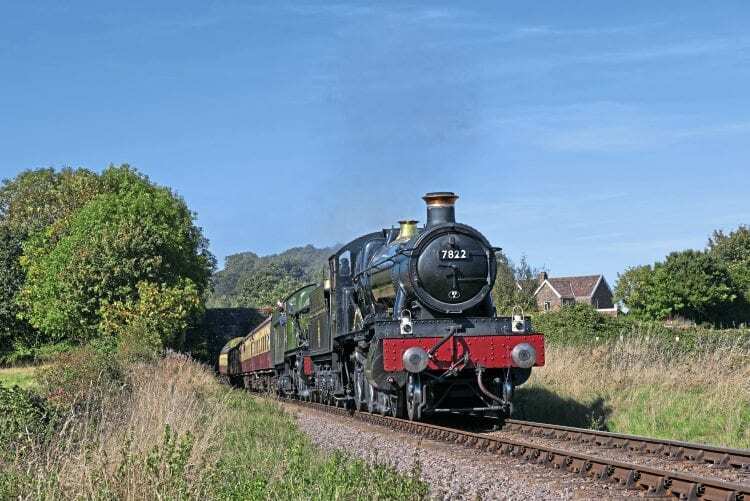 Mid-Hants Railway on October 18 to take part in the line’s October 19-21 gala. However, ‘Foxcote’ will renew its acquaintance with the WSR in 2019 when it once again goes on extended hire to the railway, its third in succession. The ‘Manor’ is well-suited to WSR service, and next year it should be joined by the railway’s own No. 7828 Odney Manor, which is currently in the final throes of a major overhaul at Minehead. “We restored the loco to work, and if we want to keep it operating in the future we need to find the work for it now,” No. 7822’s engineer Martin Fuller told The RM. In January, No. 7822 will move to Tyseley Locomotive Works for a bottom-end overhaul. This is expected to take around six weeks to complete.